Primitive Spark is pleased to announce the release of the nifty (and free!) new WordPress plugin we’re calling WP Universal Newsletter, developed entirely by our very own Brett Exnowski. What does it do? It unleashes the full potential of the content you create for your eNewsletter. What do eNewsletters have to do with SEO? Nada. And that’s the problem. If you’re using a bulk email marketing service, all of the thoughtful, targeted content you’ve created isn’t doing anything for your SEO. Why? Because your email service is hogging all your great content and storing it on THEIR site. So your site gets zero SEO credit for that content. That’s messed up. It’s your content and it should be working for you! 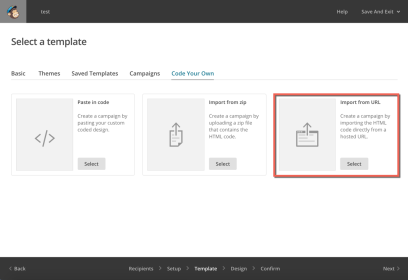 Our plugin harnesses the power of WordPress to create easy-to-populate templates for your email newsletters. The newsletters you craft are then posted on your site, earning your website increased SEO value for generating fresh content on a regular basis. That’s more like it! We know what you’re thinking: Wait, how does it get from my website into my subscribers’ inboxes? We’ve leveraged a sorely underutilized feature most email marketing services already have: importing HTML from a URL. What this means is that with our plugin, you can write HTML emails without ever writing a line of HTML. Jackpot! Now, creating HTML emails is as easy as 1-2-3: Write the content. Press the publish button. Drop a URL into your email marketing service. If you send out eNewsletters, you’re probably using one of the well-known bulk email marketing services, and potentially wasting untold hours trying to make your bulk email provider’s newsletter templates look the way you want. Or, maybe you are thinking about rebranding, and are concerned about hosting outdated brand elements on your site. Fear not! WP Universal Newsletter’s got you covered. We designed our plugin to render perfectly in any email client, no matter what, by using only the HTML that is (and has been) consistently supported everywhere. No more pulling your hair out trying to make sure that Customer X running goodness-knows-what version of Outlook can see your email as you intended. We did the heavy lifting for you so you can focus on creating great content. And, if you ever change your branding, our styling controls will automatically update all archived content to reflect new styles. WP Universal Newsletter makes everything look as it should with minimal effort. WP Universal Newsletter had humble beginnings: A client of ours wanted to archive their iContact newsletters on their WordPress site. Seems like there should be a way to do that, right? Nope. We looked high and low and couldn’t find a way to extract the archives from iContact and create pages in WordPress. So we decided to do something about it. Here’s how it works: With our plugin, newsletter content is created and stored in WordPress. Next, iContact pulls the content from the WordPress site with something called “scraping.” To set the scraping process in motion, simply paste the URL of your WordPress newsletter into iContact, and then iContact is able to take the HTML content from your site to display in your eNewsletter. Pretty great, right? And, since most email marketing services have this URL import feature, this solution is essentially universal. We’re proud of our WP Universal Newsletter plugin and hope you’ll get a lot out of it. Let us know how it works for you! And stay tuned as we roll out new features in the future to give you even greater flexibility and control over your email marketing.